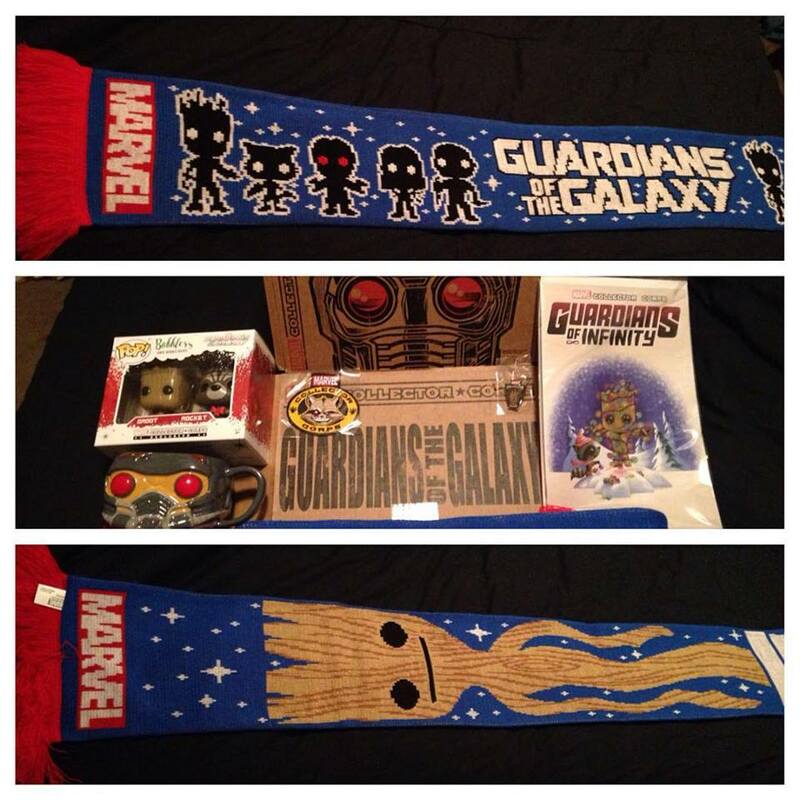 Christmas came early from Marvel this year with the Guardians of the Galaxy Collector Corps box! 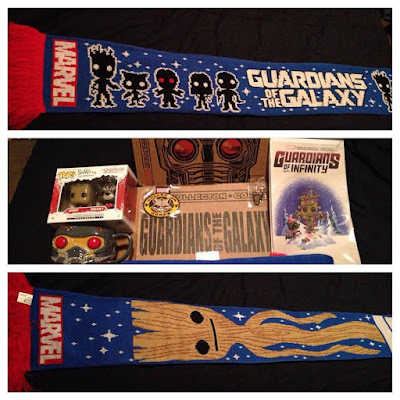 This month's box came with a limited edition Guardians of the Galaxy comic, an exclusive Rocket & Groot Pop Ornaments, a Star Lord mug, collectors Rocket patch and Groot pin, as well as an awesome reversible Guardians and baby Groot scarf! Thanks, Marvel!